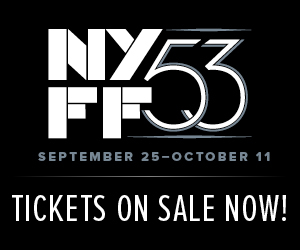 The World Premiere of Robert Zemeckis' The Walk will open the 53rd New York Film Festival. The highbrow film festival will include heavy hitter films such as Danny Boyle's Steve Jobs and Don Cheadle's Miles Ahead starring Cheadle as Miles Davis, as well as Spielberg's Bridge of Spies. Several U.S. Premiere's will also grace the screen including Michael Moore's new film Where To Invade Next and Michele Gondry's Microbe & Gasoline. The festival showcases the best international films from around the world and hosts a wealth of Q & A talks with actors, directors, writers...even Scorsese. Tickets on sale now.